Easter will be hopping onto your calendar later this month, and that means it’s time to think about putting together the perfect Easter basket for the little ones in your life. Traditionally, Easter baskets are packed with plastic grass that sticks to everything and enough candy to fuel a week-long sugar rush. If the crash from that unhealthy sugar high has you terrified, don’t worry. We’ve gathered our favorite, cute-as-a-button, sugar-free ideas for kids ages two to five right here in one handy list. By choosing a few cute items, you can make the perfect basket full of Easter gifts for toddlers – without breaking the bank. 1. Silly Putty Eggs, set of six for $6.99. Instead of filling plastic eggs with candy, give them Silly Putty. Toddlers love to stretch it and squeeze it for age-appropriate tactile fun. 2. 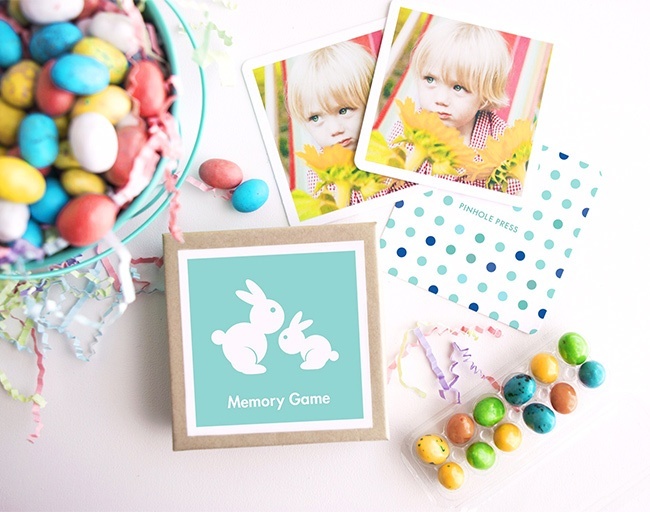 Easter Memory Game, set of 24 cards for $24.99. Customize a memory game with favorite family photos to keep toddlers engaged — they love to find the photos of themselves! Cute polka-dot backs come in three spring-tactic color schemes. 3. Play-Doh Make ’N Mix Zoo, $9.99. This sweet starter set comes with six colors of Play-Doh plus animal-shaped cookie cutters, a plastic knife and patterned rollers. Take them out of the package and artfully arrange the pieces in an Easter basket for your little animal-lover. 4. The Country Bunny and the Little Gold Shoes, hardcover $9.99. This classic Easter story was way ahead of its time in 1939, when author DuBose Heyward first penned the tale of a mother bunny who proves that her skills in managing her children make her a better candidate for the job of Easter Bunny than the cocky jackrabbits who belittle her. 5. 12-Piece Photo Puzzle, $24.99. 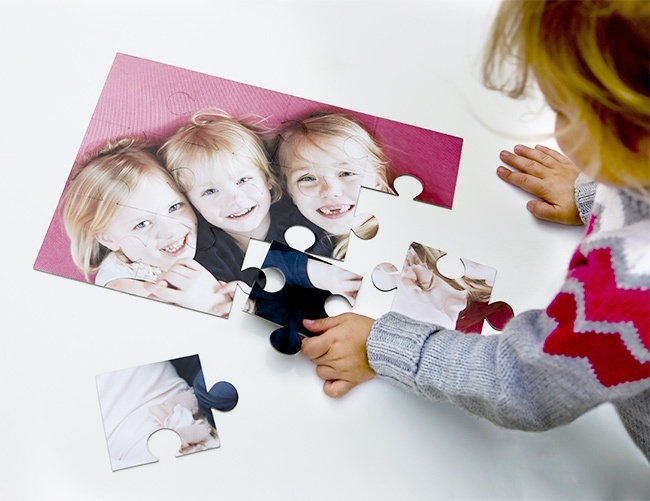 Create your own custom puzzle with a favorite family photo. Little kids love putting together the pieces to see a favorite pet, sibling or even themselves smile back at them when they’re finished. Completed puzzle measures 14.375″ x 10.25”. 6. Classic Road PlayTape, 30’ roll for $13.99 and Hot Wheels 5-Car Gift Pack, $4.99. Turn any floor into a series of streets or racetracks with this cleverly printed roll of tape. Then sit back and watch as your little ones zoom their new cars around for hours.